Radha-Dips rush back home n inquire about Madhu n find she is not at home Her moby is switched off..! Dips smirks n hopes.. Sultan flew Madhu with him She says this is biggest good news..! Radha wonders why phone switched off? As Bittu brings Madhu to RK .. he says.. His biwi is so pyaari.. din call Bitu despite being angry..! He says Salam Walaikum ..new style suits! RK says.. told ya ..missed u.. so send memories away n brought u here..! Madhu turns to leave n RK says.. mujhse dur jaogi kahan.. jab ye zikr ho hum tum juda ho..tab iss zikr par bhi hasta hoga woh khuda..! He carries Madhu with him ..! Radha asks about Madhu to Bittu n he says.. Madhu is with RK! Dips overhears! Dips asks where they are and Radha says Bittu din share..! Dips cribs! Madhu tells RK he cant force her n RK says.. who forced? Took advantage of being hubby ..! Madhu says gotta return n RK says to meet whom? U here .me here…! Madhu says have to return . RK asks why ..?? He says..she cant go till she talks to him with love! He asks…where was his jungli billi?? Till he captures her..she cant go..! RK locks her.. in the house n leaves..! Dips tells Sultan n he fumes..! Dips says cremate ur plan . n Sultan says Dhoka.. Madhu cheated .. now RK wont live..! Dips says he wont do any such things n Dips is scared..! Sultan calls his men and asks about Madhu ..n they say. .she din return home..
Sultan fumes.. cheated me.. MADHU ..!!! Bittu asks what is this? RK recounts.. about the divorce.. shooting Sultan..killing Sultan…!! RK says he is dumb.. Madhu says Sultan is alive…n then stopped.. n she changed… she was scared for me.. n i culdn see n then her change in stand..! Bittu asks what he means? RK says.. Madhu only wants him to believe she wants a divorce..! RK fumes about being fooled..
Bittu asks about who is RK talking of .. n RK says SULTAN .. he is ALIVE.! RK says.. now the game needs to be beaten .. Sultan must have played a big game.. n she is doing it.. coz RKs life is in danger..! RK tells Bittu to shift Madhus family to safety ..n to bring his family here.. without telling reason! Sikky enters home n is shocked to see Dips-Radha back..! Dips says worried for Madhu …! Bittu comes n tells luggage packed … we gotta go someplace..! 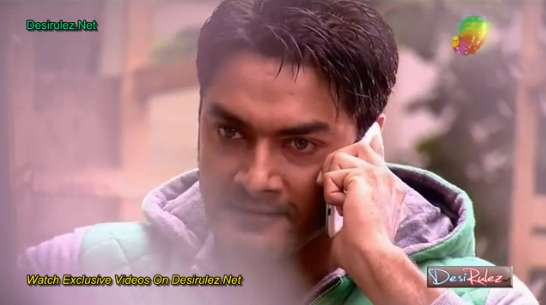 Bittu shares… RK has arranged a get together..! Dips is unable to tell location to Sultan..as Bittu keeps an eye on her..! The new entry… Dharmesh (Amar) comes n asks what is going on? 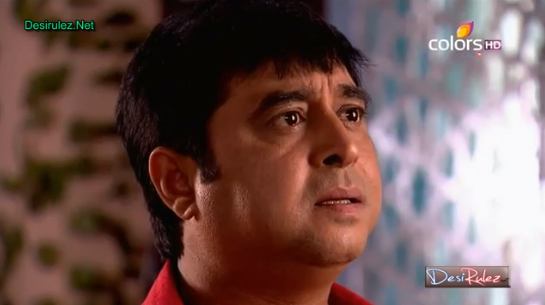 Bittu says.. RK has some problems.. he will come in 2-3 days..! Bittu asks him to understand.. n Aamr warns Bittu..! Amar says.. Amar behl is a sword.. play with it n get hurt..! Madhu asks RK why he is not letting her go n RK pushes n pulls her n she says.. hurting! RK says. .TELL THE TRUTH …why u wanna go? Madhu says dun wanna stay with u..! RK tells Madhu how badly he used to treat her.. n Madhu says he has not changed n RK says.. m Right Kamena! Precap — RK asks Madhu if his love means nothing? Madhu says no..! RK asks when he comes near her.. does she not feel anything n RK hugs Madhu n tells her let his heartbeats reach to her heart..! Madhu says.. please RK dun do this! RK caresses Madhus hair.! RK asks why does she want to go? Why?? Tell the truth not lie n Madhu says telling truth.. if u dun have courage to hear.. what to do..
Madhu says lemme go… dun wanna stay with a man like u…n RK says who ended life of one she used to love? RK says she must be reminded of past ?? The way he mistreated her n Madhu says he hasnt changed n RK says. .name is Right Kameena! RK says.. fooled her.. played Prem Game with her.. he convinced her n himself he din love her but when she came close ..he used to go crazy.. wondering why he hurt her.. n feared she would know the truth.. his pain..his ishq ..his junoon..! RK says.. her pretty eyes.. were the other name of fear.. .n he used to hat her eyes..! RK asks Madhu why not able to look in the eye? Madhu stables herself n then looks at RK n says.. telling u truth…no fear..!Madhu says have no feelings for u..! RK says..seeing the effort. .she is making to look in his eyes.. his love is nothing for her? tell the truth n RK closes in on Madhu n RK asks if his touch doesnt affect her? Madhu begs to let her go n RK asks answer n Madhu says no. .! RK asks Madhu if her heart doesnt listen to the beats of his hearT? He pulls Madhu to his heart for a hug n asks ANSWER..! Madhu hugs RK back n RK says..let his heartbeat reach to hers..! Madhu begs… MAT KARO … BG- Kaisa ishq hai mahi.. RK caresses Madhus face.. sets her hair..n Madhu jerks back from his touch..! RK asks what is bothering? TELL .. Madhu begs to let her go.. ! RK tries to touch her but she jerks off n RK says.. GO .. NOW… cant be urs now..! Madhu starts to walk away…but stops midway..n self thot I LOVE U RK .. She leaves …! RK fumes.. and says SULTAN .. now WAIT n WATCH! The family leaves to meet RK n Sultans men inform him …! He asks them to tail the family …! Bittu arrives with the family at the location … n Sikky asks where is RK? Radha asks about Madhu n Bittu says to rest .. n says RK has an order to deposit their moby n all do! 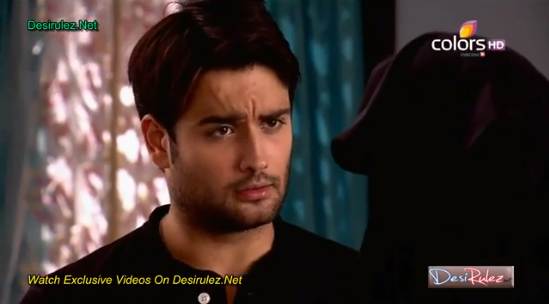 Dips looks around and wonders where are RK – Madhu?? Bittu catches her…! She asks about RK-Madhu ..! RK calls out for Bittu n RK tells Bittu . .Madhu left Dips is confused about all the developments.! She spots the landline and informs Sultan about developments ..[Aisi bhi kya dewangi … ke har ahat.. Mehbooba ki lage?] Sultan asks where is Madhu ?? Dips says no idea.. Sultan says RK knows the truth n he has laid a trap for him ..! Dips asks how he knows? Sultan says.. it sets.. perfectly …things are deeper than what they appear..! Sultan says RK sent Madhu back to mansion to trap him ..! Dips says no idea but he better go check himself..! Sultan cuts the call ..! Sultan swears that Madhu n RK will pay if they are playing a game..! Tumhare pachtave ka waqt aab shuru hota hai…!! Radha asks what is going on .. first Madhu left now RK?? Bittu says lemme check..! At the mansion .. Madhu looks around for everyone but no one is there! The lights of the mansion are switched off…! A silhouette is seen ..who looks like Sultan holding a gun..! Madhu is shocked..! Madhu asks who is it? Steps forward .. ! She figures its Sultan ..she asks about her family … n says answer or wont come … with u. .n asks about RK .n says .. if he did anything to RK wont spare.! She pulls Sultans collar and suddenly lights come up n Madhu is shocked to see its RK ..! 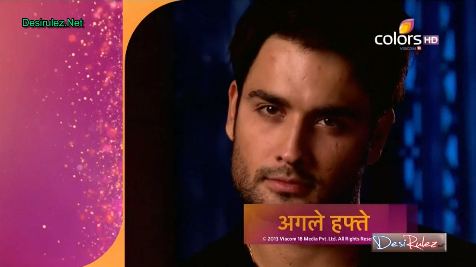 Precap — RK smirks n Madhu says.. RK?? ?